The music industry’s loss has been the trucking industry’s gain. This struck me when listening to MiX Telematics CEO and founder, Stefan Joselowitz, as he looked back over the years during the presentation of the company’s financial results for the full fiscal year ending March 2018 writes Patrick O’Leary. The announcement of the results coincided with the 10th anniversary of the company’s listing on the Johannesburg Stock Exchange. In terms of the company’s history, however, that date is short change. It actually goes back to 1996 when Jos, as he is affectionately called, decided to tackle the stolen vehicle tracking and recovery arena harnessing the power of technology to beat the rising tide of vehicle theft and hijackings. It went under the name of Matrix Vehicle Tracking with Matrix being the product brand name under which the organisation surged ahead. This was truly pioneering stuff for remember that there was no internet then – and, believe it or not, cell phones were in their infancy having only being introduced into South Africa in 1994. GPS was the best there was and that was pretty awesome. The only problem was that the thieves got to know how to switch off the ability of the GPS to position the vehicles. They simply cut the GPS aerial or parked the vehicle in an underground parking – or even under a bridge – to cut off visibility to the satellites. I recall when Matrix added a GSM function in the event of the GPS aerial being cut. FleetWatch actually put a pair of pliers in our magazine in an innovative advertisement which said: “If they cut the GPS, we’ve still got you covered.” So FleetWatch was used as a toolbox. There are so many milestones in this company’s history but let’s go back to the music industry before we get to the financial results. For that, we have to position the observation in the context of the presentation. Held at the Johannesburg Stock Exchange, I expected it to be a solid business session where EBITDA and other such financial performance intricacies would be coldly spelt out. However, this was a different presentation with Jos touching the warm spots as he recalled and acknowledged the many people who had believed in him, stood by him and helped him along the way as took a fledging company to a global giant. It’s not often you get the CEO of a financial giant which recorded a R1,7-billion total revenue stream for the year, using a large part of the presentation to go soft on the human aspect behind the business…..and that’s where the music industry comes into the picture. 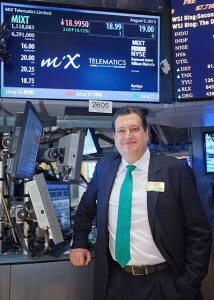 August 9th 2013 was a proud day for Stefan Joselowitz, CEO of MiX Telematics, when the company started trading on the New York Stock Exchange. And so it came to pass that on August 9th 2013, Jos and his team stood on the podium of the trading floor at the New York Stock Exchange where Jos was given the privilege – as a newly listed company – of ringing the closing bell. Click here to see the story FleetWatch ran at the time. His dad was no doubt smiling down on him on that day. 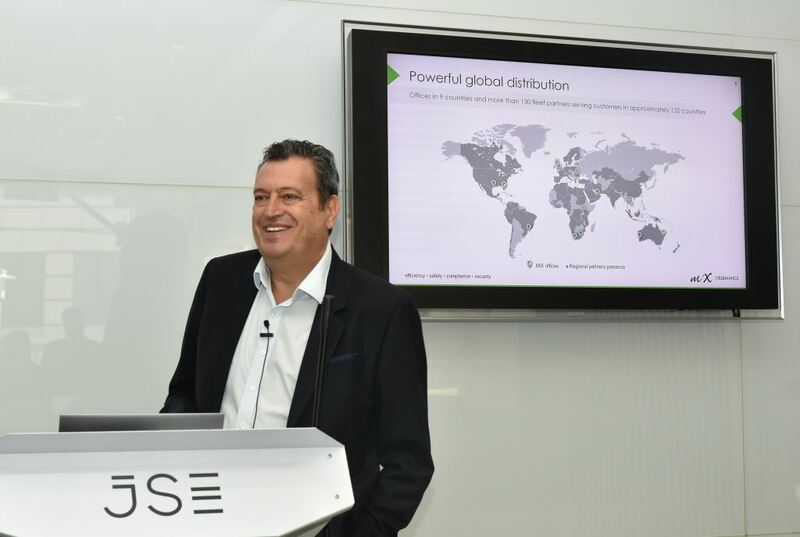 While admitting that changing from a non-listed to a listed company brought with it many challenges, those challenges were met admirably as evidenced by Mix Telematics recently being recognised as the best performing tech stock on the JSE in 2017. Today, with annual revenues of over R1.7-billion, MiX Telematics is comfortably the largest of the publicly traded telematics businesses that originated in South Africa having grown into a leading global provider of fleet and mobile asset management solutions delivered as SaaS to more than 676 000 subscribers in over 120 countries. And it keeps growing. “We continue to win large multinational customers, deliver innovative, premium solutions and great service to drive adoption across multiple industries, verticals and geographies,” says Jos. As for last year’s performance, MiX Telematics recorded total revenue of R1.7-billion and ended the fiscal year with a subscriber base of over 676 000 subscribers. During the year, the company made significant progress towards achieving their long-term adjusted EBITDA margin target of 30% plus. Adjusted EBITDA margin expanded by over 600 basis points to 25.8%, which was driven by 19% subscription revenue growth on a constant currency basis. “This performance was due to ongoing strength across the portfolio globally, although our premium fleet portfolio was the dominant contributor. We are well positioned to maintain our momentum in fiscal 2019 and beyond as MiX continues to leverage its global reputation and proven track record,” says Jos. 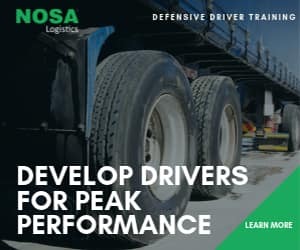 In the video interview featured with this story, Jos spells out the performance in more detail while also commenting on various others aspects of the business. What stands out as really good news is that according to Jos, it is far easier to ‘sell’ South Africa to overseas investors since Cyril Ramaphosa came in as President of South Africa. 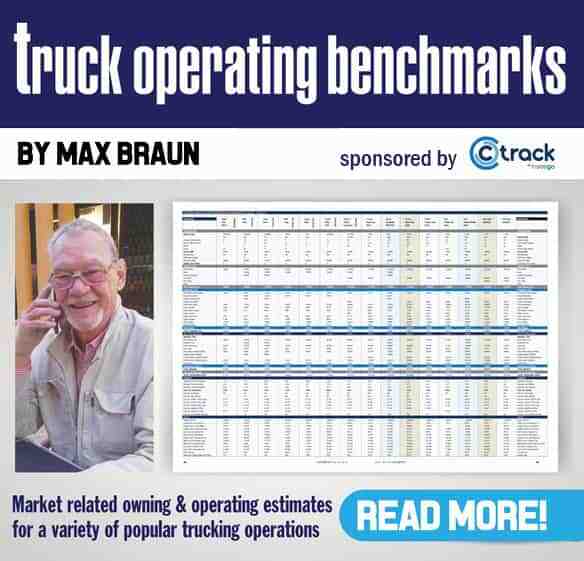 FleetWatch congratulates MiX Telematics on its sterling performance and wishes it well – as one of South Africa’s truly home-grown pride and joys – as it heads off into the future.